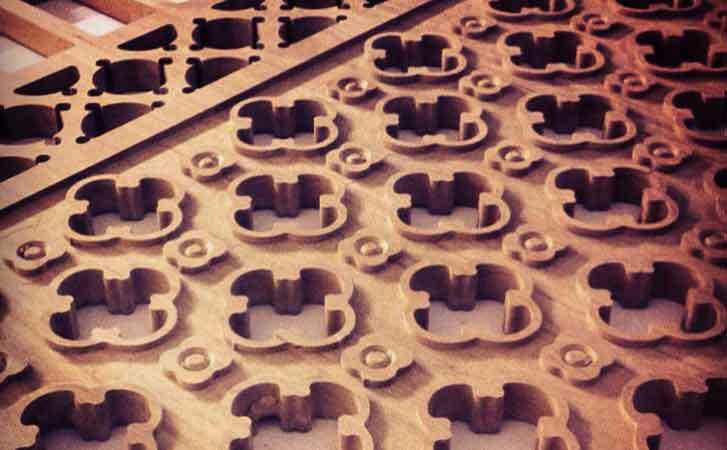 CNC router cutting is the process of using an automated machine to profile cut various materials very precisely and with very high repeatability. It is possible to successfully router cut Acrylic (also known as Perspex and Plexiglass), Aluminium Composite Panel (also knows as Alupanel), HDPE, Plywood, MDF, Timber, Polycarbonate, PVC, PVC Foam (also known as Forex and Foamex), PETG and HIPS. It's possible to generate a cut path in any CAD software package on the market today and supply it to us (preferably in .dxf format). 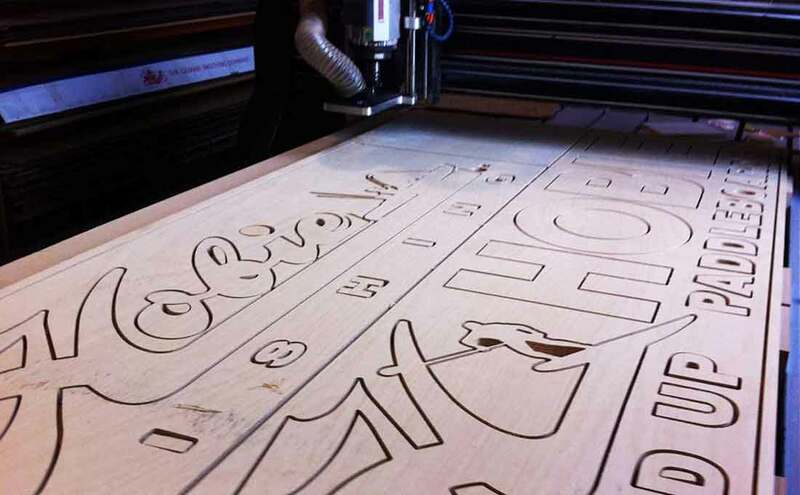 CNC router cutting can be used to produce shapes, letters, stencils, panels and much more. You will find some more ideas below. 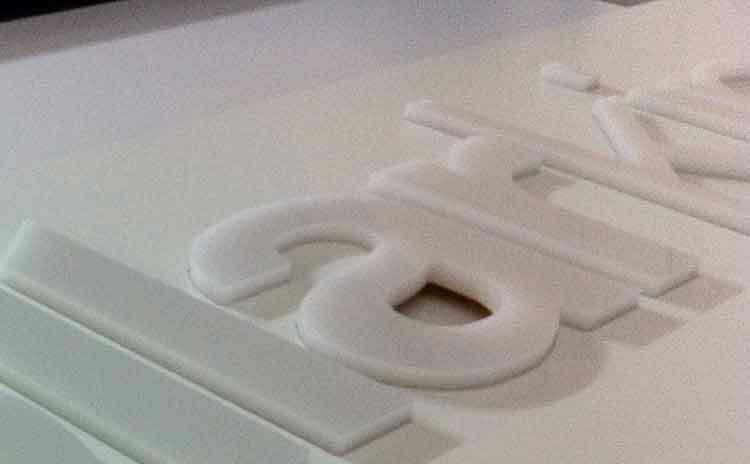 Intracut Signage with MDF backing and Perspex letters for backlit signage. 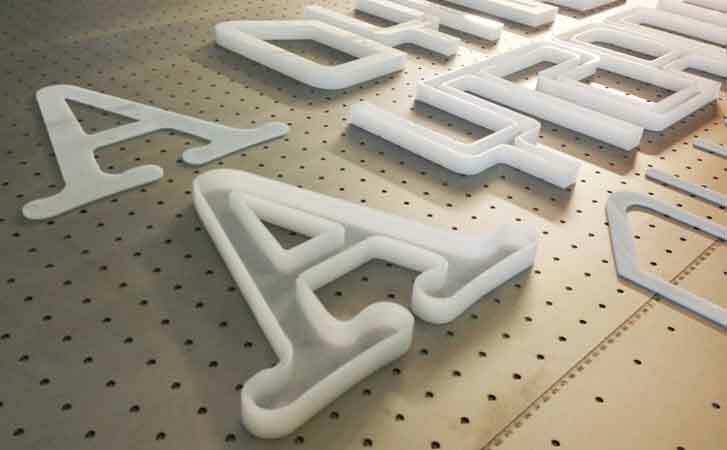 Edgelit, backlit or frontlit acrylic hollow letters to be fitted with LED strip lights. 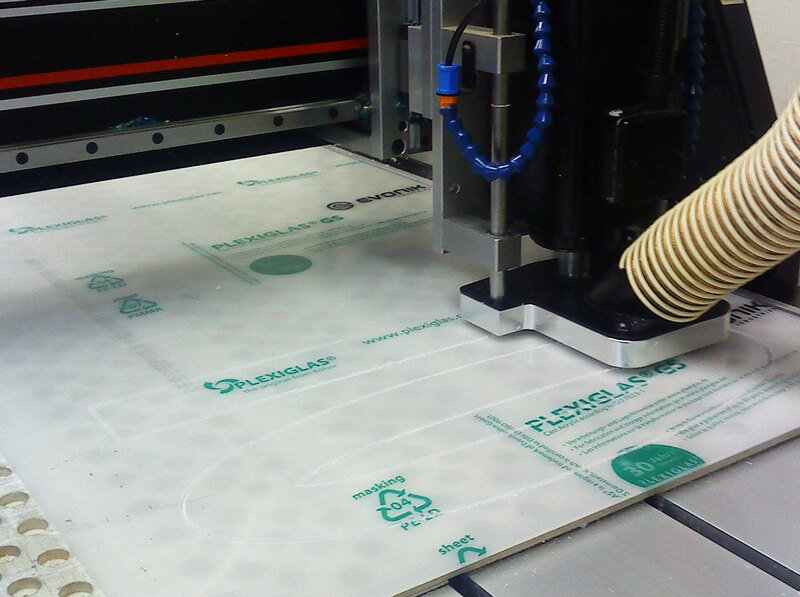 CNC router cut pattern into solid timber panel. 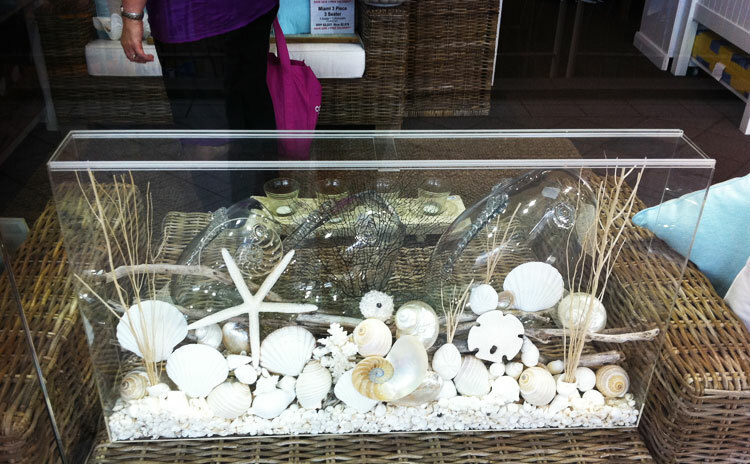 Custom made Perspex display case for themed goods used in a retail point of sale environment. 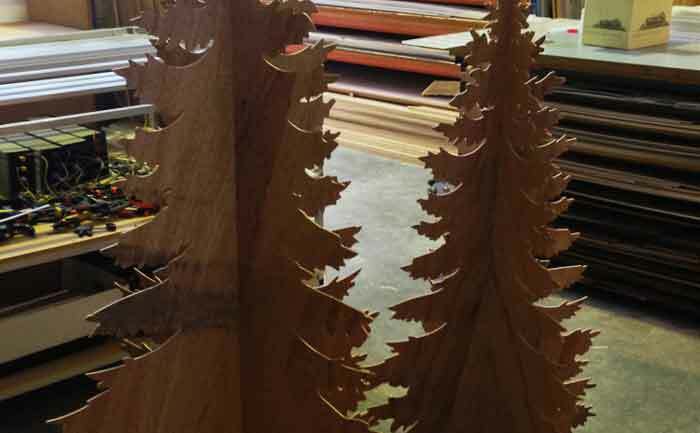 Tree shapes router cut out of thin plywood and nested together to produce a 3D tree replica for a themed shop display. Router cut plywood signage achieves a very organic look. All printed boards can be profile cut to shape to produce photo realistic environments. We sell perspex sheets direct to the public. In addition to that we cut to size perspex, plastics, aluminium composite panel and plywood. We fabricate perspex display stands for any purpose to custom sizes. Automation translates into precision, effective use of time and therefore cost-savings which we happily pass on to you. 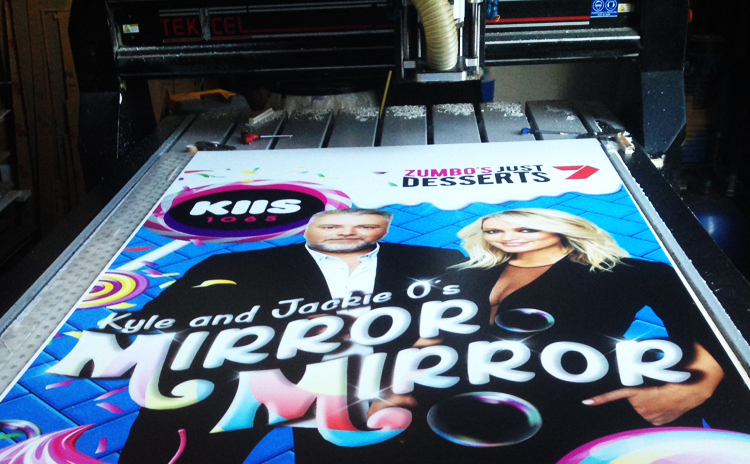 We are able to cut sheet materials to any conceivable shape and size and to an extremely high degree of accuracy. A vast array of different router tools are at our disposal for cutting, drilling and engraving according to your needs. Our machinery is ideal for either high volume operations or for work requiring multiple tools. 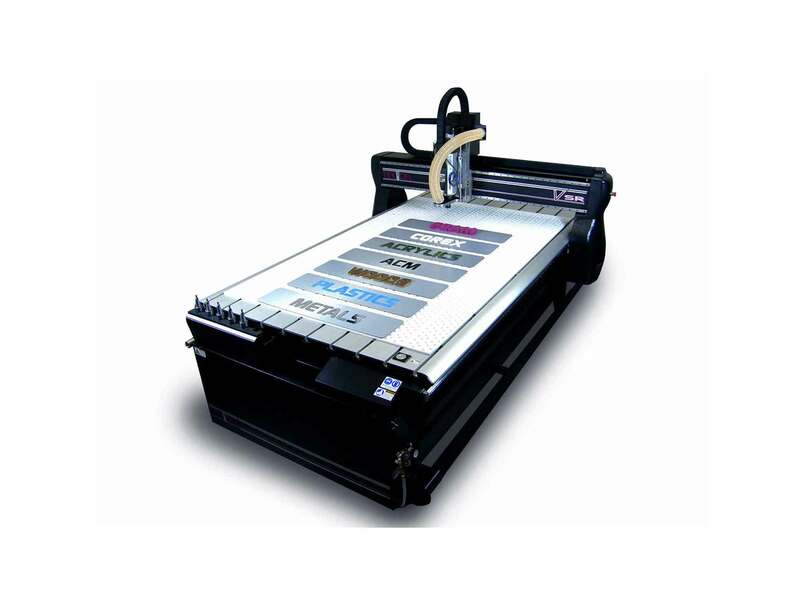 Furthermore this machine is integrated with our large format digital inkjet printer to form a complete print and cut solution. At Z Display we create the CAD drawings that are required for CNC cutting. 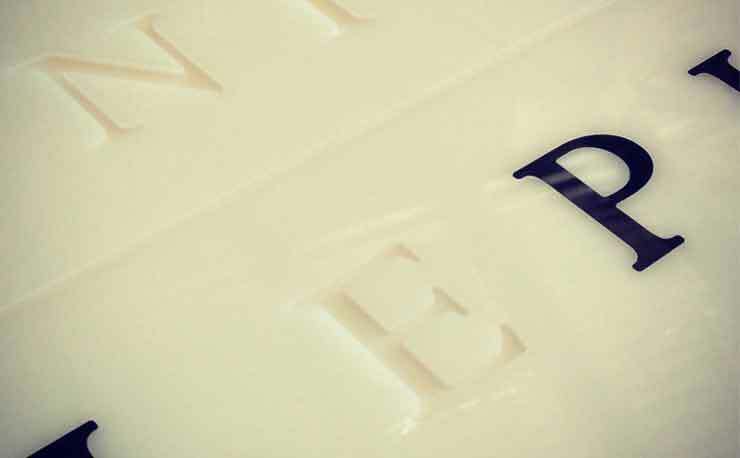 This allows us to cut or engrave your designs with precision. We offer various types of bends at extreme angles and radius to accommodate our customer’s needs. Gluing without air bubbles is one of the challenges in this industry. We can glue 1\2” and thicker materials without air bubbles. We offer various types of finishes to your display. Depending on the requirement of your product and the environment it will be in we can provide you with different finishes. Depending on the type of material used in production, we can heat (flame) polish your displays. Whether you are an interior designer looking for a custom acrylic table base, an art gallery needing a shadow box or pedestal for a piece of art, a hobbyist looking for a model or collectables case, a personalized gift for that special occasion, or a company looking to show appreciation with recognition awards -- from a single piece to thousands, no job is too small or too big. Just need a piece of acrylic cut to size? We will be happy to do that too!